Planning a hike? The Automobile Club of Southern California can be a big help for hikers. Surprising? Not really. Last I heard about 99 percent of all hikers get to the trailhead by car. 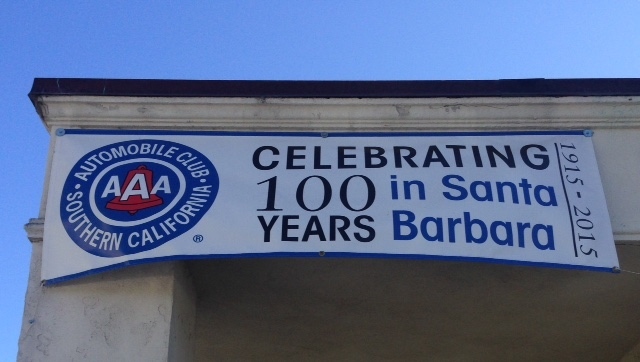 The Automobile Club of Southern California has been helping drivers AND hikers for more than one hundred years. While The Trailmaster is absolutely delighted that an increasing number of Southland trails can be accessed by public transit, the fact is most hikers in the region still have to take a drive in order to take a hike. And that’s where the Automobile Club is so helpful to the hiker by offering members free maps that locate the region’s parks, preserves and special places. Sure I use my smart phone and car nav system to get directions and get around town and out of town. And the AAA app helps me find the cheapest gas. But if like me you still favor paper maps to help “get the big picture” and to plan your hike, you’ll appreciate that the Auto Club still has plenty of maps in print, even in our digital age. 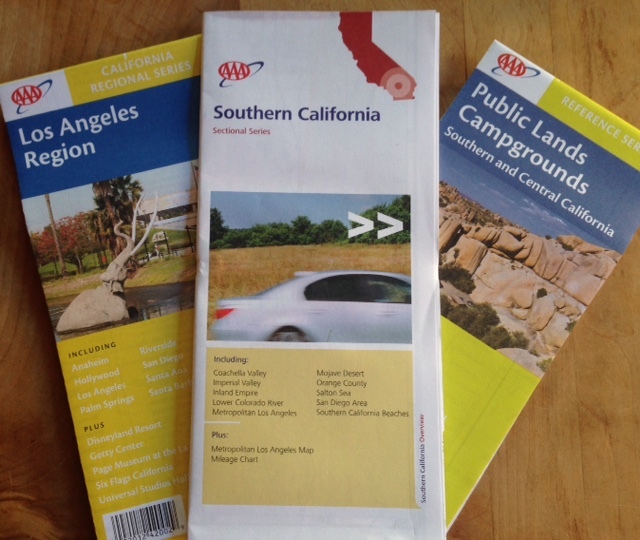 Two more handy maps for the SoCal hiker are the “Los Angeles Region,” which covers similar ground as the Southern California map, and “Public Lands Campgrounds,” which helps the hiker locate camps and parks where trails often begin. In Southern California, we love our cars and have one of the highest ratios of car ownership in the world. And in Southern California, we love to hike and have a very high percentage of residents who are hikers. Southern California boasts an amazing diversity of terrain, number of hikes, and with its mild weather—all-year hiking. For many thousands of SoCal hikers, driving to the trailhead is a small price to pay for the opportunity to reconnect with nature and take a hike. 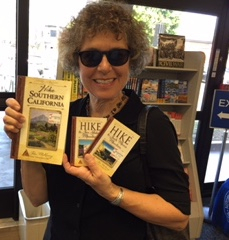 Auto Club member and avid hiker Marianne Wallace with The Trailmaster books available at the Arcadia office.